On FAE's 25th anniversary trip. 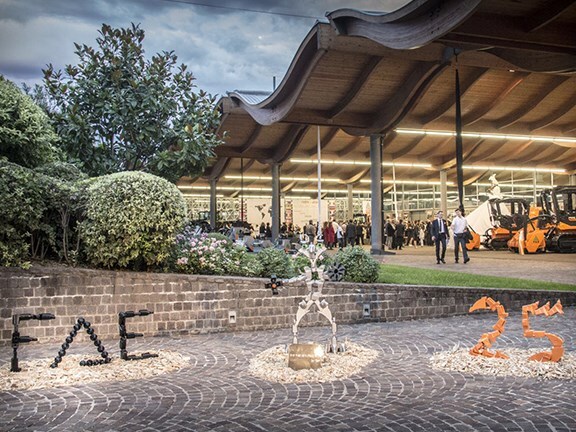 Construction and land-clearing equipment manufacturer FAE Group recently celebrated its 25th anniversary by hosting customers, dealers and employees from across the world at its Italian headquarters. FAE has offices in Australia — in the Melbourne suburb of Dandenong South — the United States, Canada, France, Central East Europe and Russia. On the first day of the September anniversary trip, guests toured three of FAE’s manufacturing facilities. "A picturesque bus trip to Vipeteno, close to the Austrian border showed the rotor manufacturing factory where CNC lathes and automated welding robots were operating at full capacity," the company says. "Following this it was back to HQ where a tour of the PrimeTech facility in Sarnonico was conducted, seeing the progress of a number of dedicated crawler track machines of various horsepower in production." Concluding the day was an FAE HQ factory tour at Fondo, where the complete production process of the large variety of machines was explained. "Production at all factories is at maximum level and plans are in order to expand capacity in all areas," FAE says. 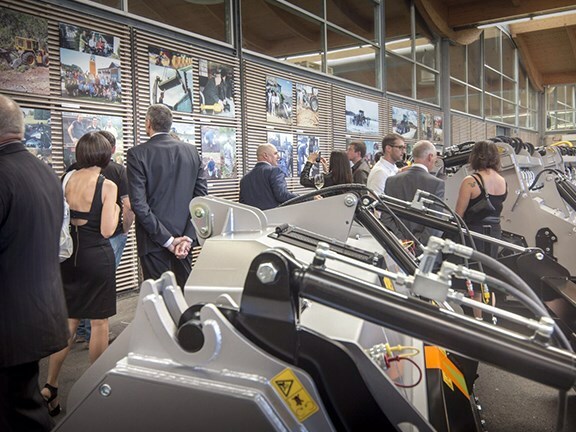 The next day involved entertainment and dinner at a local winery where 20 FAE and PrimeTech machines were on display, including new hammer designs, new paint styling and FAE’s latest machine — the UMH-MEGA high-production forestry mulcher. This machine, for tractors between 240kW and 370kW, can shred trees up to 60cm in diameter and can work the soil both on the surface and up to 30cm depth. Under the PrimeTech brand, FAE-Australia Pacific offers: self-propelled tracked carriers; dedicated, purpose-built prime movers; forestry mulchers and forestry mowers; demining machines and mine clearance machines, prime movers from 120kW to 500kW. Applications include: mulching and land clearing; land conversion; road construction; asphalt grinding and demining/mine clearance. FAE Land Clearing makes: forestry mulchers; forestry tillers; sub soilers; stump cutters; stone crushers; rock shredders for tractors; excavators; skid steer loaders; prime movers; and special built self-propelled units. Finally, FAE Construction offers: rock shredders; stone crushers; soil stabilisers; asphalt and bitumen road shredders/grinders for tractors; skid-steer loaders; prime movers; and special built self-propelled units. Click here to find FAE equipment for sale.